you should run to your phone right now and buy your ticket. This event is the most fun you have have in one day. Really. Must participate in make~n~take, there will be no kits available. You do not need to bring anything, we supply EVERYTHING! Join us as we celebrate nine wonderful years of business, friendship, and creativity. Plus Make-n-Take Madness is back! Meet our talented teachers and designers as they mix, mingle, and help you CREATE. This year we will have two special guest bringing you a MNT, Jim Hankins the Gentlemen Crafters and Caroline Lau with Maya Road. Visit up to 10 creative stations. That's ten projects for you to take home for $20. Stop by or call us to reserve your ticket. We will have scratch off discounts from 10% ~ 40% with 3 BIG prizes valued $50~$300, giveaways, birthday cake and much much more....so come help us celebrate! fabulous projects that you will create! What is your go to product, tool or medium? my stamps and distress paint, ink, anything distress! What is my favorite paper line?- it changes from week to week, but Authentique and My Mind's Eye are always at the top of the list! What is my favorite adhesive? My Scotch ATG gun- I don't know how I lived without it! What is your style? ever changing! But one thing that remains constant is that I do NOT like white space- less is less and More is Best is my motto! How long have you been crafting? All of my life. 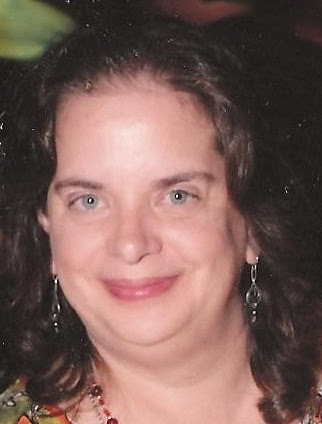 I started out by sewing with my Grandmother and Great Aunts, learning to crochet, cross stitch, and embroider while I was a child. 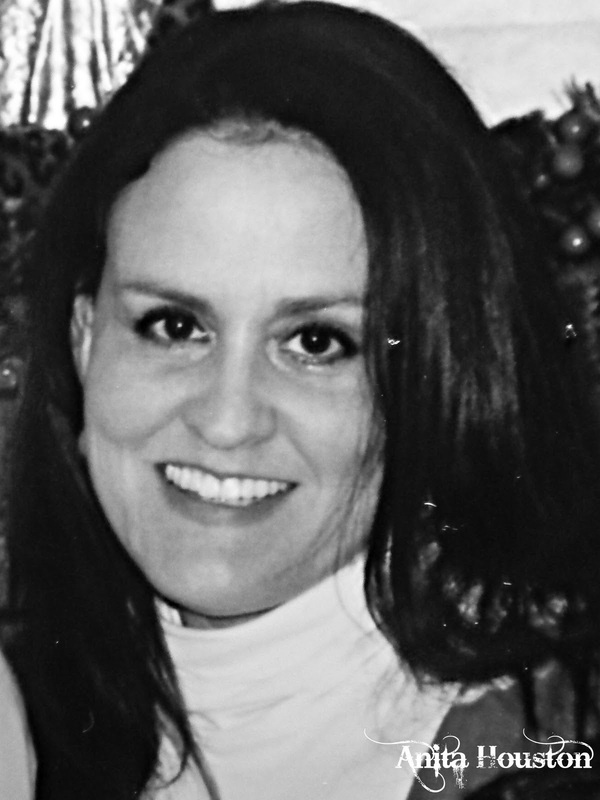 I designed and baked custom wedding cakes for almost 20 years. I paint murals, make mosaics, do woodworking- anything I can get my hands dirty doing I want to try! 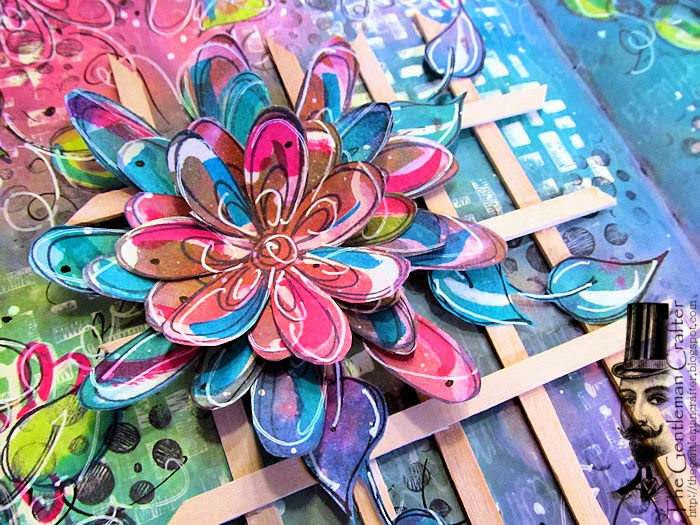 I love papercrafting because it is so limitless- there are so many mediums you can use and so many outlets with this art form. What is my favorite paper line? 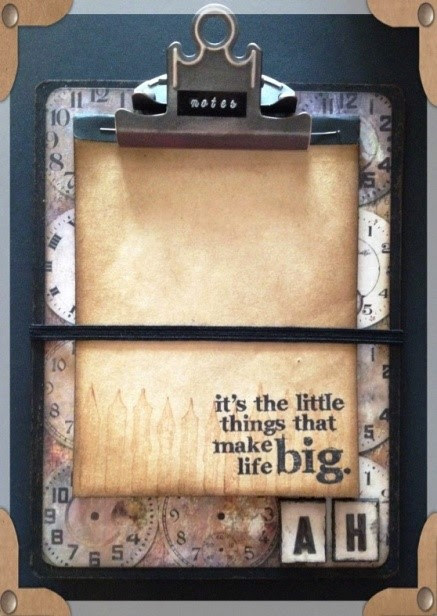 At the moment it's Tim Holtz's Menagerie. What is your go to product, tool or medium? Craft Sheet, Ranger's Archival Ink, Alcohol Ink, and Foil Sheets. What is my favorite adhesive? Ranger's Glossy Accents & Multi Matte Medium. What is your style? That's tough, but I'd guess an elegant Industrial Chic style. How long have you been crafting? Ever since I was little when I got my first box of Crayola Crayons...the box of 96 with the sharpener. What is my favorite paper line? I love Prima paper line...also Websters!! What is your go to product, tool or medium? 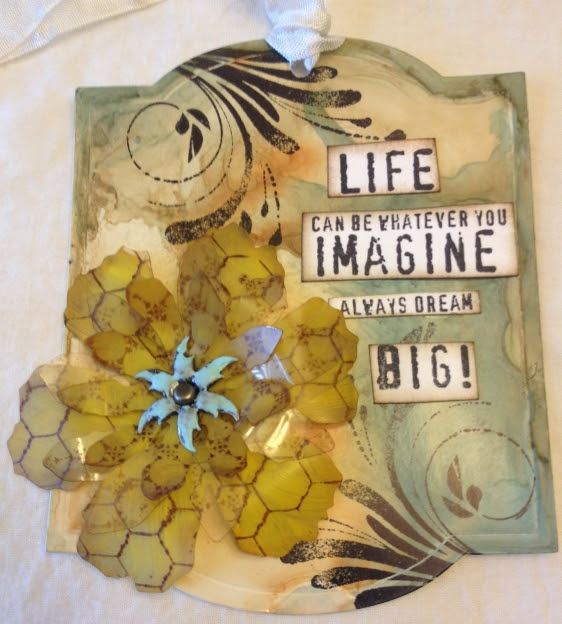 I can not create without my Tim Holtz paper edger! What is your favorite adhesive? My favorite adhesive is Tombow liquid and Aleene's Tacky Glue! What is your style? My style can vary from very fussy to very clean. It depends on my mood and the photo. How long have you been crafting? I have been scrapbooking for 10 years. What is your favorites paper line? Any line with bright colors and small print. Current favorites are Echo Park & Bella Blvd. What is your go to product, tool or medium? Stamps first, all dies second, and then copics and papers right behind. What is your style? Cutesy & Fun. What is your go to product, tool or medium? 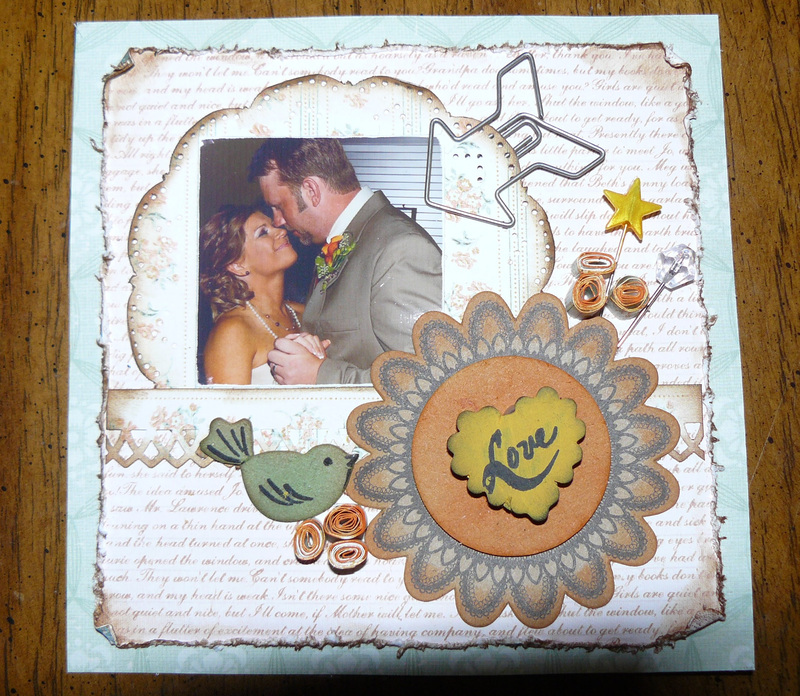 Vintage Photo Distress Ink and washi tape... and stencils and dies .. and bling! What is my favorite adhesive? All of them ? Really depends on what I am doing. What is your style? Vintage vintage and more vintage. I love to put the quirky twist on things but love all things old and if not old, I make it look old. How long have you been crafting? As long as I can remember but started 'scrappin' around 14 years ago and went from scrapbooking to cards, to mixed media and digi. What is your favorite paper line? I love Authentique for sure. What is your go to product, tool or medium? I cannot create without my ruler and craft knife. I don't use a paper trimmer at all. What is your favorite adhesive? I use an ATG gun and also Tombow Mono Aqua Liquid Glue. What is your style? My main style is clean and graphic. How long have you been crafting? 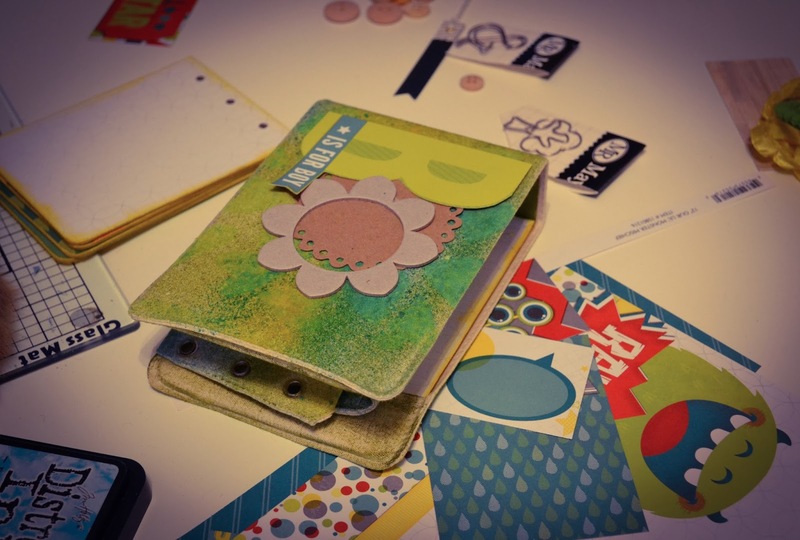 I have been crafting since I was a little girl, but scrapbooking since 1998. What is my favorite paper line? Graphic 45. What is my favorite adhesive? Tombow & glossy accents. What is your style? Anything goes. How long have you been crafting? Since birth. What is my favorite paper line? Some people think that my fave is a certain brand, but I have a LOT of favorites. What is your go to product, tool or medium? Right now it is modeling paste, gesso, paints and inks. What is my favorite adhesive? I don't really have a favorite, but I do buy a lot of ZIG 2 Way glue stick and Zip Dry and pop dots....it just depends on what I can get my hands on when shopping. What is your style? Style of what? LOL I love to experiment with different SBing styles....Don't like getting in a rut. How long have you been crafting? Oh, gee....more than 20 years. Jim is also teaching a couple of classes Friday and Saturday so you can make a weekend of it! You read more about his classes here! What is my favorite paper line? I love Graphic 45 not only for it's Graphics but for the quality of the Paper! The family that runs/operates Graphic 45 are TRULY The Best! Yahooo! What is your go to product, tool or medium? Oh there are so many! I guess my first love is Chipboard! I'm a Chipboard FREAK! You can find it in every room...and in fact in my car at any given moment! 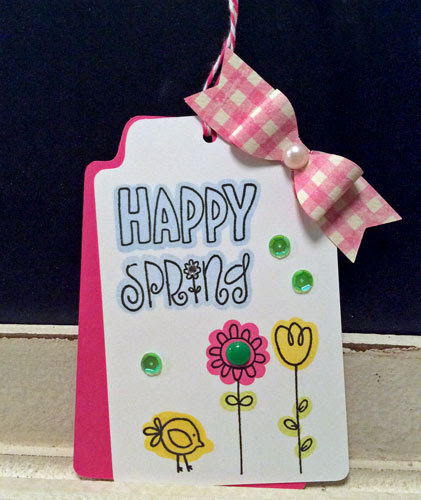 One of my favorite products is Dylusions Ink Sprays and Stamps! It allows me to get my groove on! What is my favorite adhesive? I've got TWO FAVORITES!! I'm crazy for Scor-Tape! I think it's the best thing since PIZZZA! 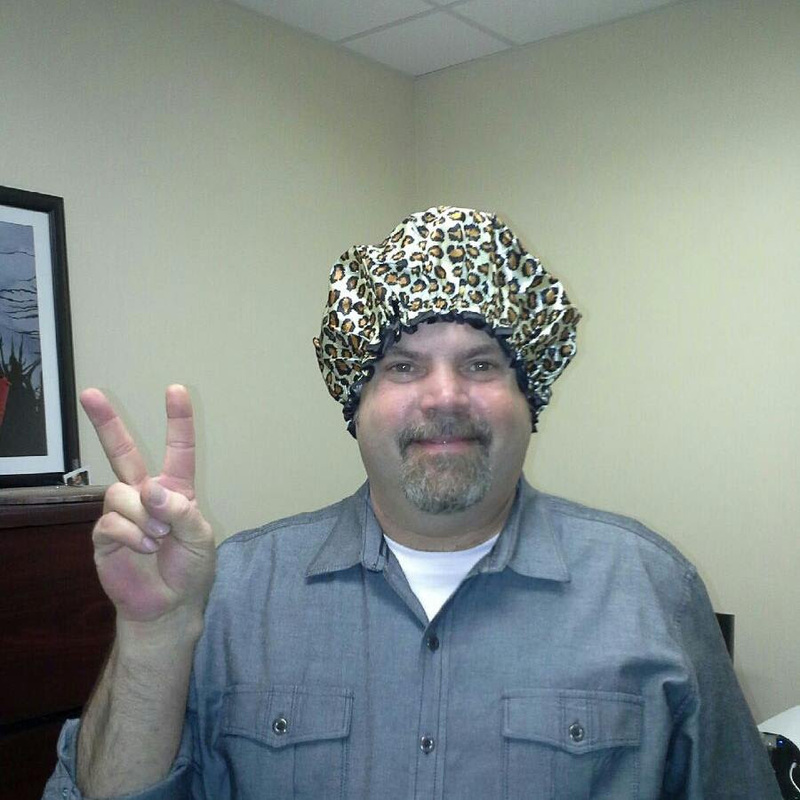 My second favorite is Xyron film using the 9 and 12-inch Creative Station and Creatopia! What is your style? My favorite style is Steampunk, Turn of the Century, Dylusions Funkiness and Grunge! Can I have Four? LOL!? How long have you been crafting? I have been crafting ever since I could hold a crayon! However, I have been paper crafting for about 4 years now and I'm hooked! 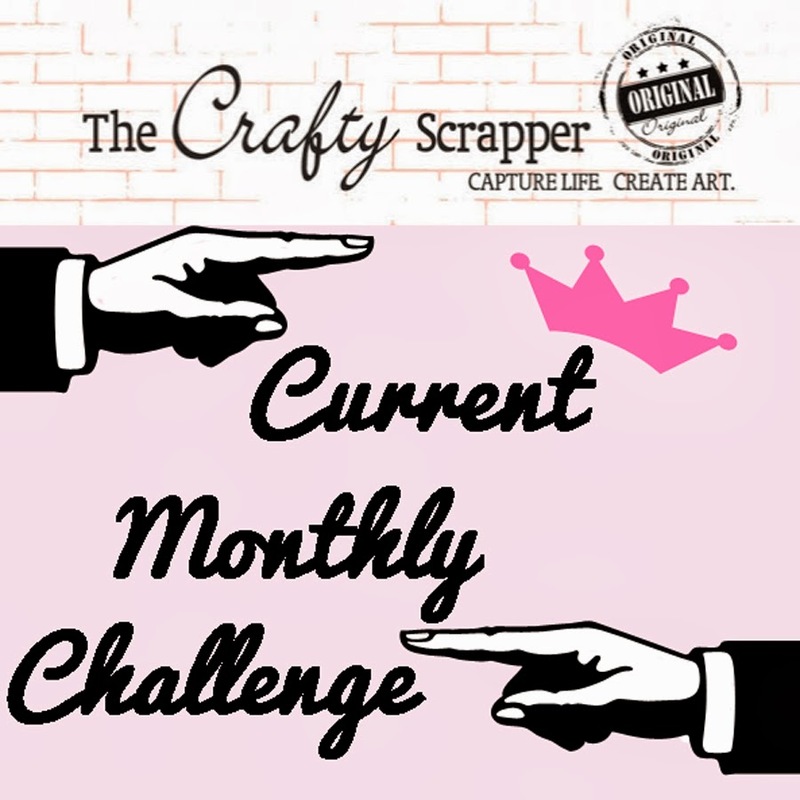 Hello Crafty Scrappers! 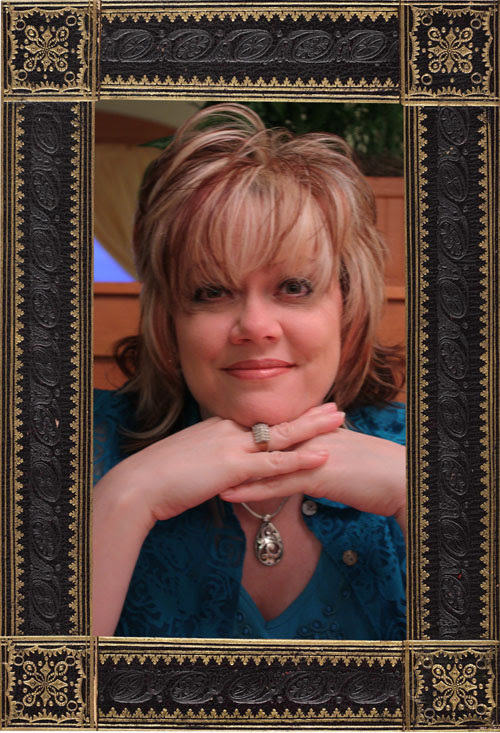 Anita Houston, the Artful Maven, back with you again this month. And, quite literally I really was at The Crafty Scrapper last weekend for two classes. We had the best time in both, and here are some photos of our fun time! The ladies in the Trinity Resist Tag class all made gorgeous tags. They were so quiet and really got into the techniques. The Altered Paintbrush attendees were a lively group, and really got into blinging up their queens. Each person's paintbrush was so unique and beautiful! Thank you so much ladies for being such fun and great students! I enjoyed myself immensely and I hope you did too. Kits are still available if you could not attend. I can't wait to come back next month for the Make N Take Madness! If you haven't already signed up for the fun filled day, do so soon! It looks like a blast! Hello everyone! It's Gena and I wanted to share a sweet layout I made of my baby girl Daisy! Isn't she beautiful? 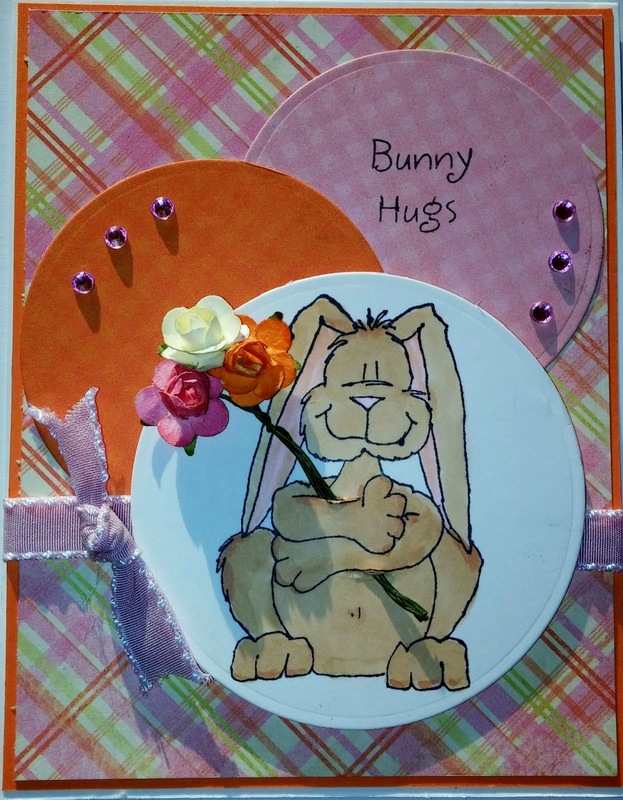 I used the new pet line from BoBunny, Happy Tails. As most of you know, I love sketches, so I found one that I liked and started to create. 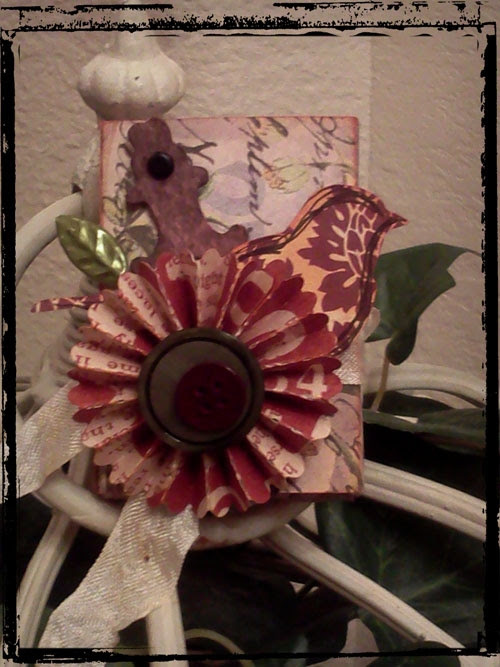 I used the paper to create individual embellishments. One of the tags even has her name already printed on there, but there are also plenty of blank ones that you could stamp your fur-baby's name on there. I also used my border punched to add a little flair. Amy Tangerine accessories and more! Be sure to link up your entry before March 31st to be eligible to win!! Thanks for stopping by... hope to see you soon at The Crafty Scrapper! 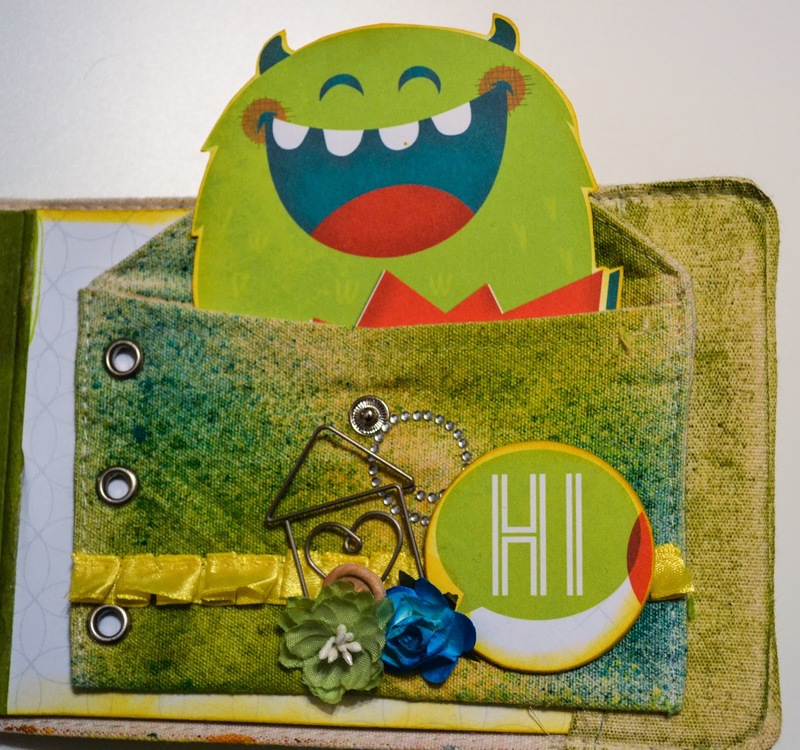 Hi guys, it's Amy here today to share a peek into a fun project using Bo Bunny's Our Little Monster paper line. I am a huge fan of all things Bo Bunny. So I was more than a little excited to get this paper in my design team box. Most of you know I came into my stepson's life when he was a little older, and sadly I don't have toddler pictures of him that would have been so appropriate here! The next best thing? The beastie's little boy that I have known since he was a premature newborn weighing in at less than 2 pounds!! These pictures capture the essence of who he is and the "little monster" theme is how we think of him. He says the cutest things, the does the cutest things, he's just a hoot. Just a look into the beginning of the creative process...it's messy and never quite turns out the way you think it will! Here is the cover of the Maya Road canvas and chipboard album I chose to use for this project. I used Dylusions inks to mess up the canvas as the background. 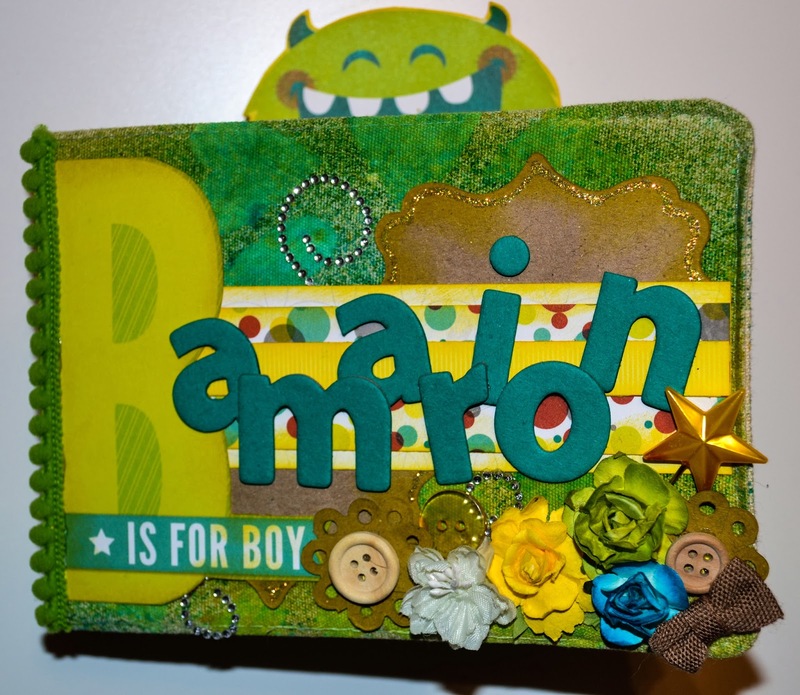 The B is for Boy came from the paper line, I don't usually like fussy cutting but this worked on the cover. You'll see in later pictures how I made used the monster in the back of the book that played into what you see at the front of the book! This is the first page inside the album, and my favorite. 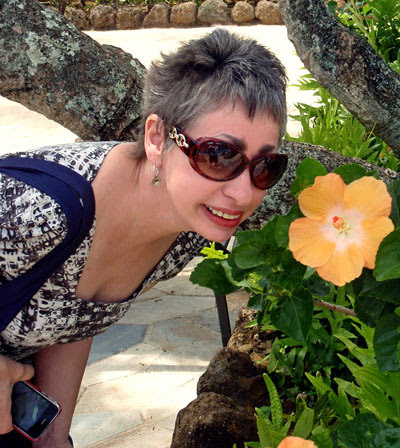 I kept it simple here, a Maya Road scroll and a handmade flower - letting the picture take center stage. See the button with the paper around them? 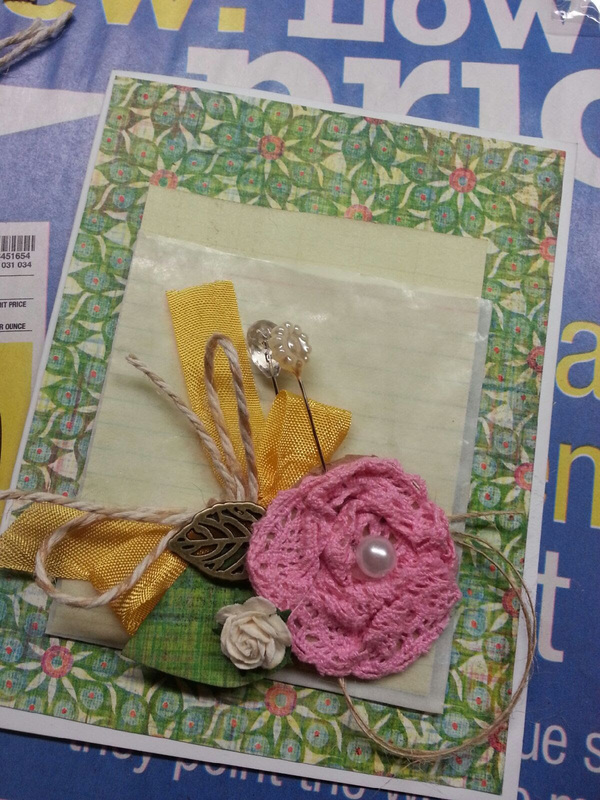 That is a Maya Road kraft paper doily, cut down to the scallop part and used to make a flower! Sometimes when doing an album I catch myself feeling like all the pages look the same. They don't - but that's the tricks a tired brain can play on you. When I need to shake that off I do an "inside cover". A page that doesn't have a picture but that still works with the album. 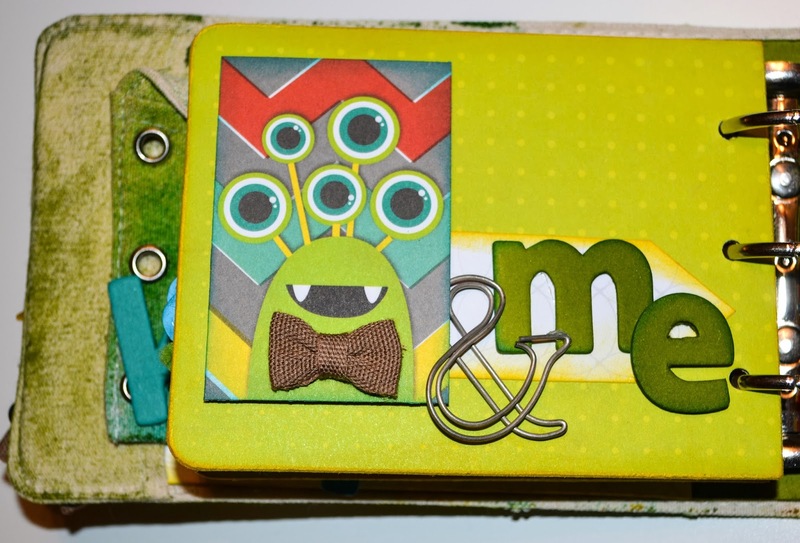 The monster on the paper, along with the Maya Road "&", seemed a good fit and the bow tie I gave him just makes me smile. Finally to the monster!! 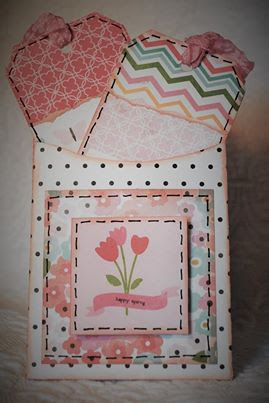 This canvas mini album comes with two canvas pockets that can be put in the ring binder or, as I did here, used elsewhere. I put one in the front of the album with the word "keepsake" spelled out on it to give my bestie a place to put pictures. This one I glued to the back of the book and tucked the monster into him. Hope y'all enjoy! This project is on display at The Crafty Scrapper. 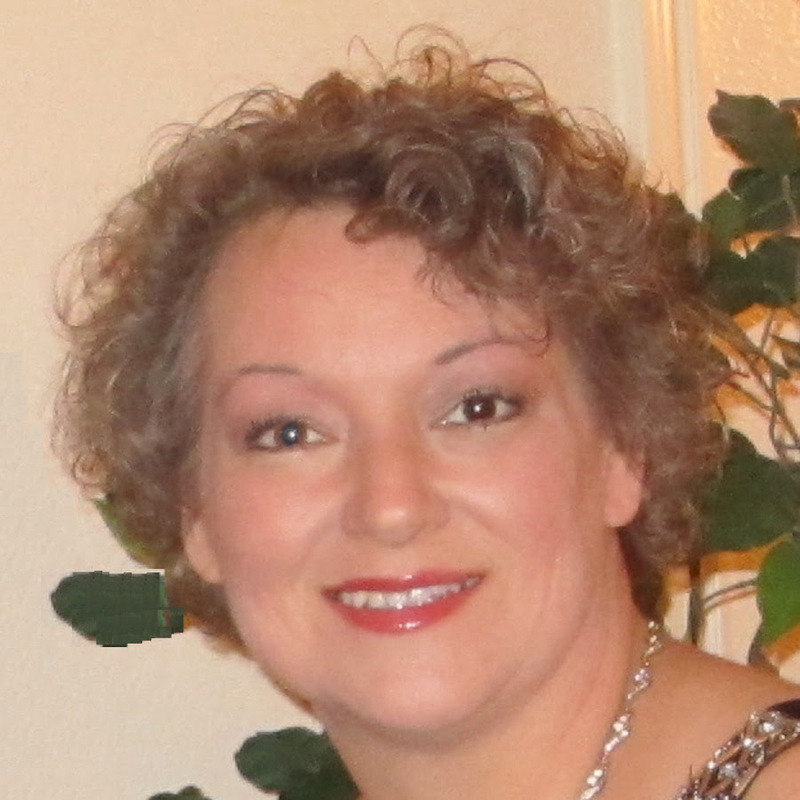 Stop by and take a peek. Hi everyone! It's Patty today with a layout for The Crafty Scrapper Design Team. 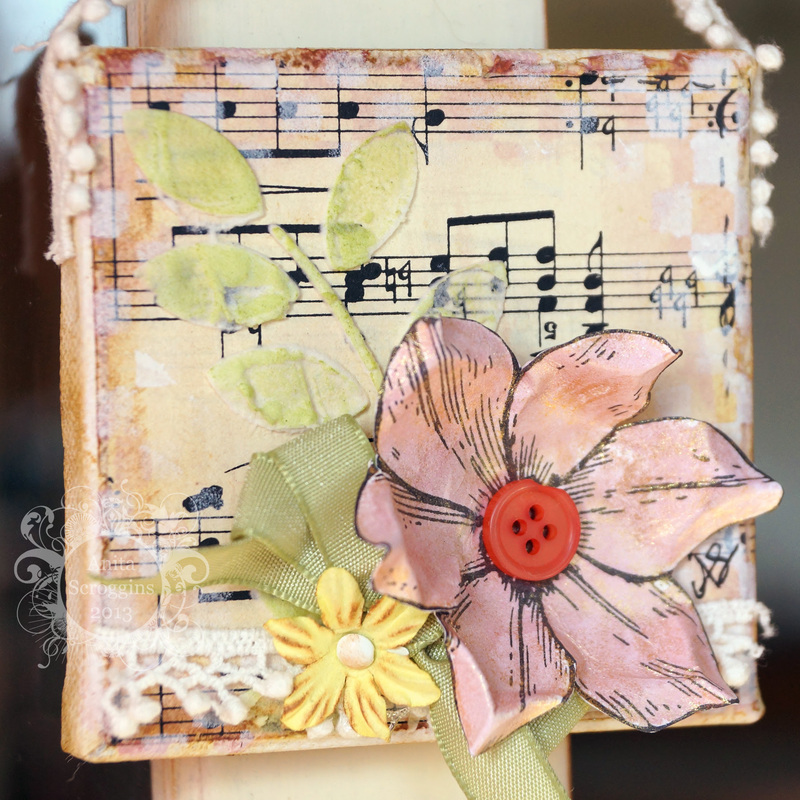 This layout is created with A Charmed Life by Simple Stories and lots of fun Maya Road embellies. Techniques used were painting, inking, embossing 3-D work and die cutting. Hope you enjoyed looking at it as much as I did creating it. It is on display at The Crafty Scrapper. 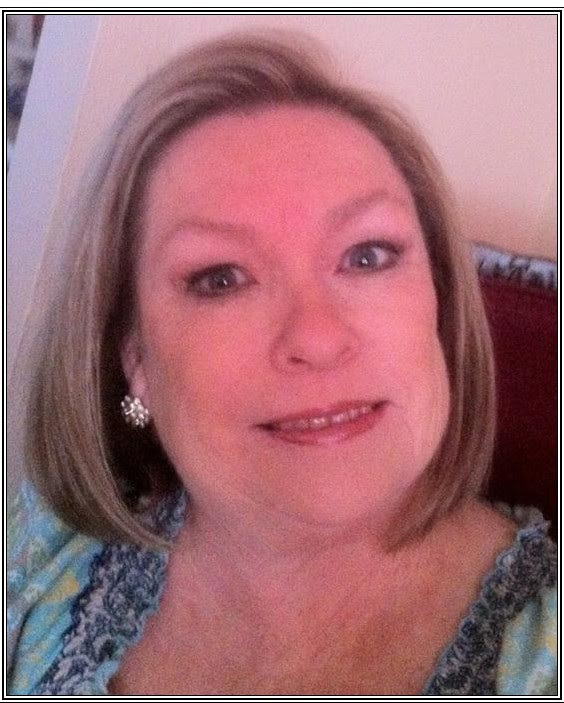 Hello Everyone - Ginger here today to show you my new layout. This is a photo of my sweet granddaughter Kenzie playing soccer this year. She is just 5 years old and having a great time. At this age they are all so cute!! The papers are by Echo Park and they go perfectly with the color of her team! I distressed the edges and turned the corners inward. I did the same thing with the orange paper to give it a sense of balance. On the back of one of the papers was soccer ball print. I cut it out into a circle which gave me a nice soccer ball. Here I used various flowers from Petaloo and Prima. I found in my stash this ribbon and used it to gather the flowers. The three little buds I made by just rolling up paper. Can't get easier than that!! Again I rolled up paper to make these little buds and added leaves. 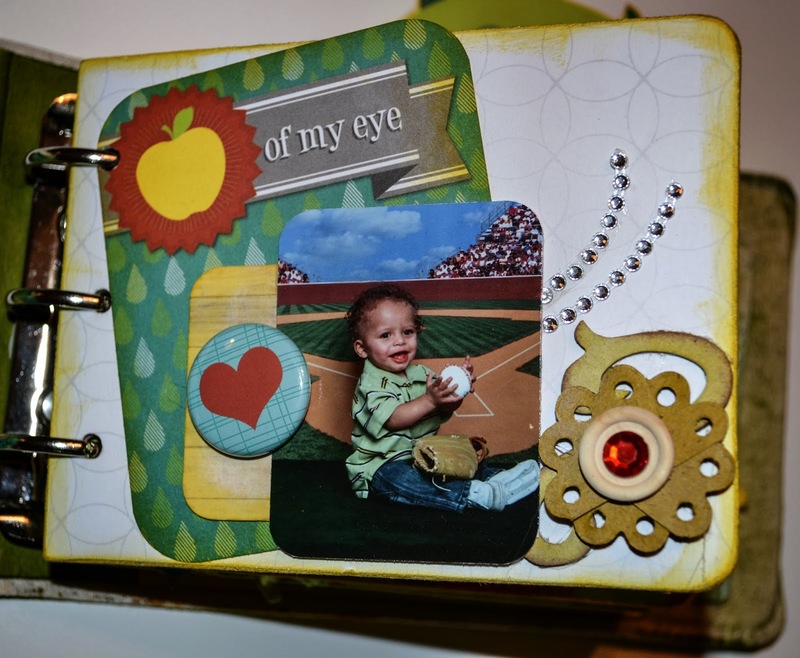 You can also see I used black, orange, and then the soccer ball which I used my Tim Holtz page edger. I also had this wooden hinge and painted it black and added little pearls. The word soccer I painted black and while it was still wet I added little black beads. I was given the little circle with the star but decided to use them separately. I added the button with the heart to the circle and painted the star yellow and added my granddaughters name...Kenzie! I did a lot of distressing on the papers. I also added by Martha Stewart a punch to the soccer paper and added ink. I also used two papers around the photos and distressed them as well. 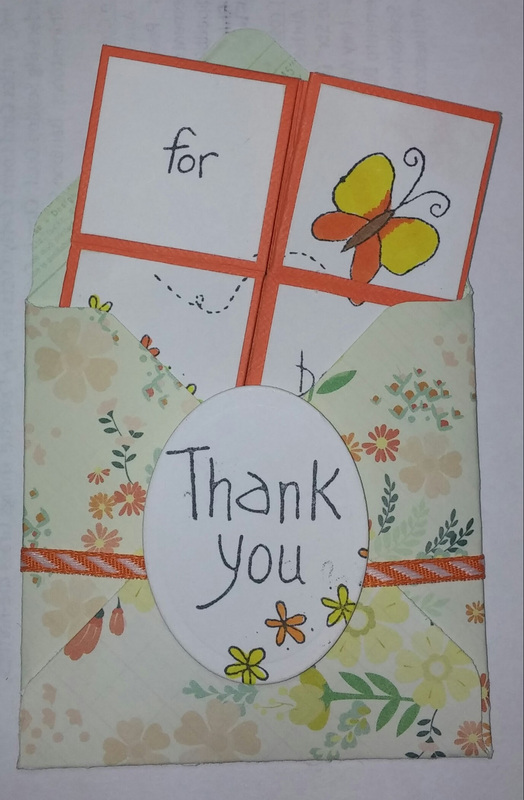 Thank you again for taking a peek and please visit The Crafty Scrapper!